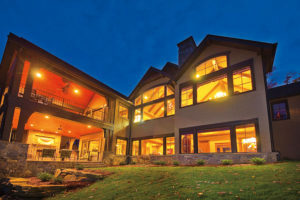 Wenatchee Valley Glass is a full service residential glass and glazing firm. We can repair or replace your existing windows or supply new windows and shower doors for your upcoming building project. We service all of North Central Washington and can be seen quite often in Wenatchee, Monitor, Cashmere, Leavenworth, Dryden, Peshastin, Leavenworth, Plain and Lake Wenatchee. Lacantina Doors – Functionality and Style! Come join us at the 2018 BNCW Home Show at the Town Toyota Center! Come by and see the latest in home and commercial glass products!